With a new concept opening in Wake Forest and a revamp of Driftwood Southern Kitchen’s menu in North Raleigh, Chef Nunzio Scordo is constantly refining his cuisine. The Saleh family legacy starts with pita bread. More than four decades ago, the family came to the United States to escape civil war in their native Lebanon. Longing for the traditional pita bread of their former home, and not finding a suitable replacement, the family opened a bakery in 1977. That bakery has since blossomed into a line of family-run restaurants that have become a staple for Lebanese and Mediterranean food in the Triangle. The smaller menu at Sassool Select doesn’t include kebabs, but still has shawarma and falafel as main entree items. The salads in the cold case are only the staples from larger locations, and there isn’t a selection of hot case items. Scott says Sassool Select is much easier to manage than the 6,000-plus square-foot larger locations in Raleigh and Cary that employ more than 100 people combined. “Our select concept is one that we could put into any food court, stadium, or office building, and one we could multiply much more rapidly,” Scott says. 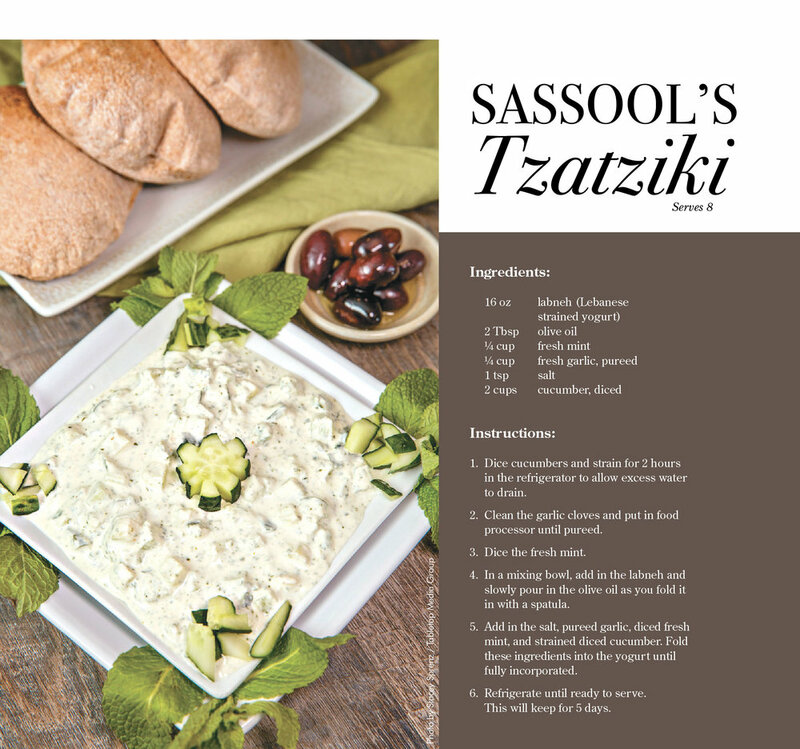 While Sassool may be adapting to modern restaurant formats and menu items, Scott says guests can be sure that the restaurant will stick to the family history and food that cemented its legacy.